You’re a busy person, always on the go with your hands full. 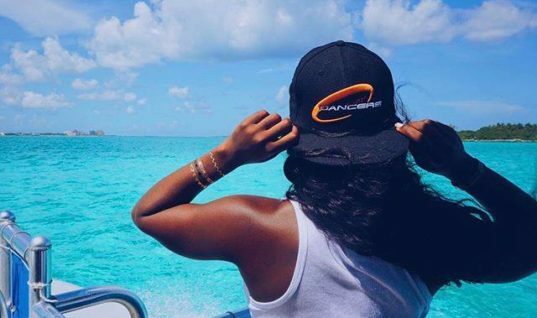 What if there were something that took all that extra baggage and did all the heavy lifting for you so that you could focus on other things, like living? That’s where Heroclip comes in. 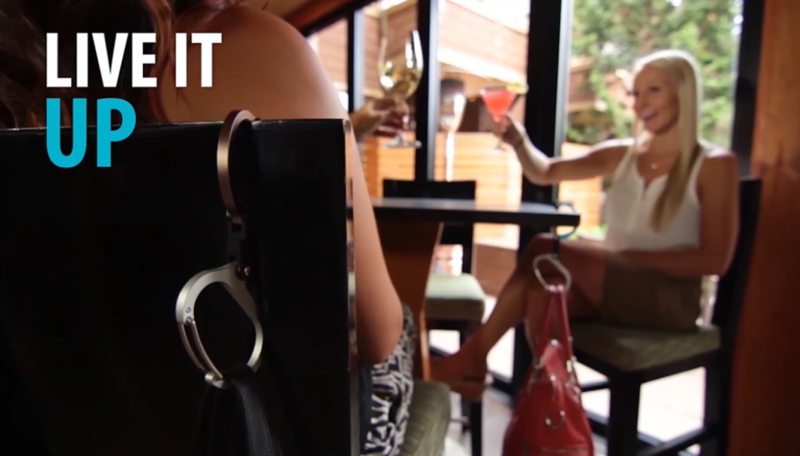 Meet the revolutionary new gear clip that is freeing up hands everywhere. Invented by a busy mom with an active lifestyle, this gear clip is meant to hold whatever you want wherever you want. 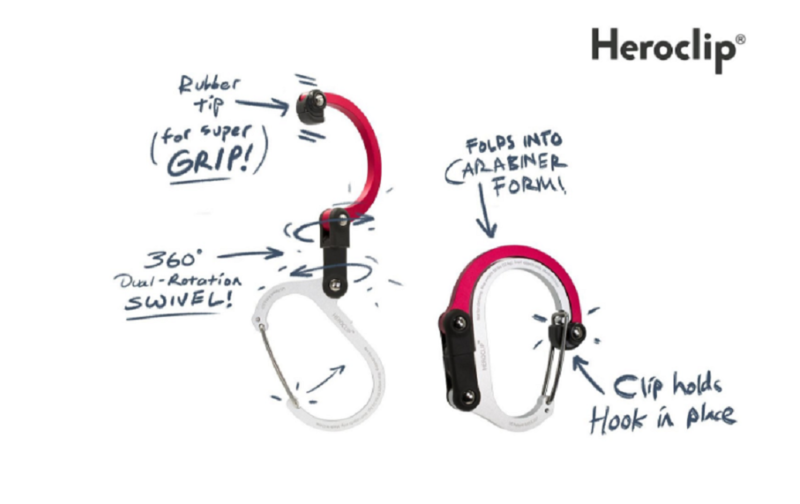 What makes the Heroclip so different from other clips and fasteners on the market is its ingenious design. Not only is it a clip, but it also has a built in hook with 360 degree swivel making it easier to access your belongings at all times. And the beauty of the Heroclip is that you can place it virtually anywhere because its got a rubber non-slip tip that will grip just about any surface imaginable. This 3-in-1 clip has been designed with you in mind and will keep up to 60 lbs of your belongings tethered upright off the ground and within easy reach. And when you don’t need it, the hook folds down neatly inside of the clip making it compact and easily portable. So go on and enjoy life with your hands free! Just like you, Mina Yoo lives a busy life. 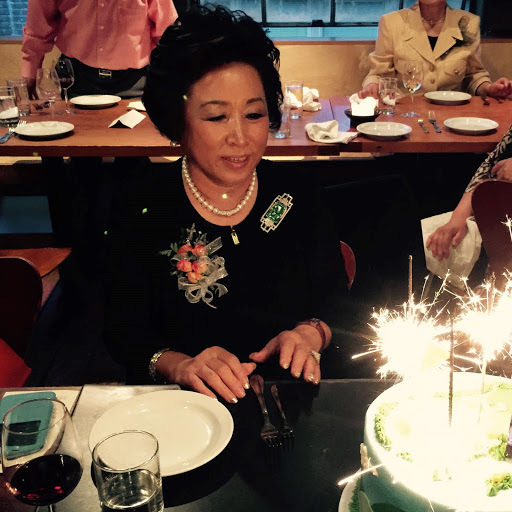 Mina works full-time as a professor of entrepreneurship at the University of Washington Business School, she enjoys travelling and spending time with family and friends. 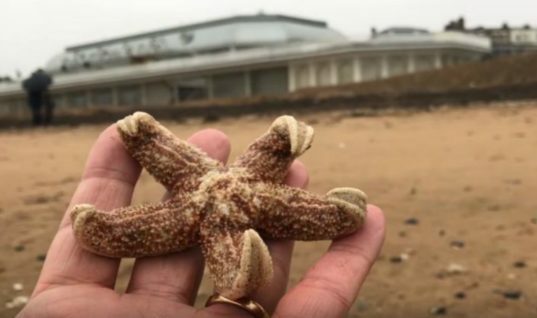 However, it was shortly after having her first child in 2015 that Mina discovered she simply did not have enough hands to deal with all of the things life was throwing her way. 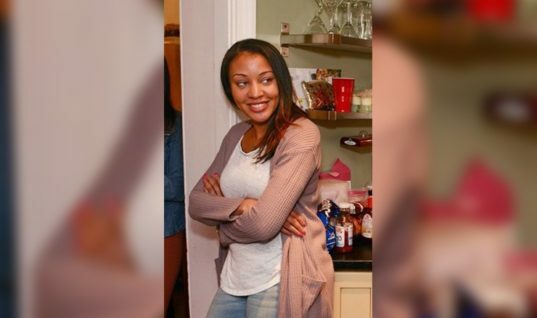 She had planned to make a health and fitness goal to get back on track after having her baby, but planning to summit Mt. Rainier seemed like it wouldn’t be a possibility if she had to lug all of her gear and a baby along with her. Mina searched everywhere for the perfect tool that would allow her to live out her adventurous lifestyle while raising her family, but came up empty handed. Although she had no background whatsoever in manufacturing and design, the professor decided to take matters into her own hands and she began brainstorming a way to create the extra hand she needed in her day-to-day life. 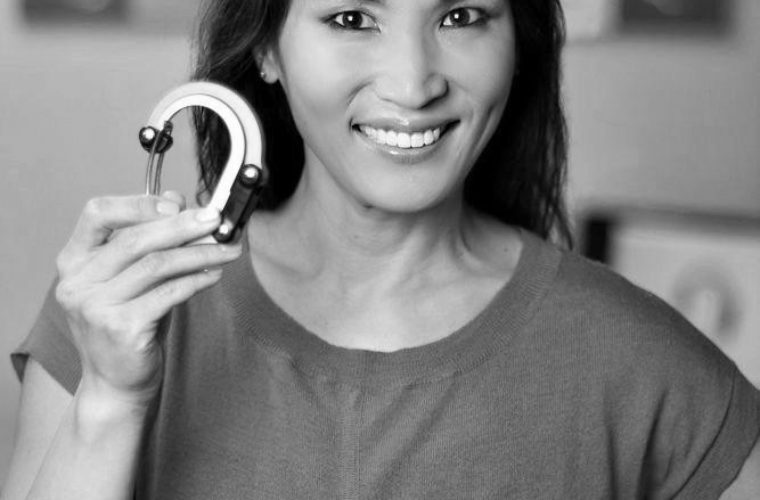 With Mina’s determination and the overwhelming support from backers like Indiegogo and Kickstarter, she is now selling her creation called the Heroclip in retail shops including Brookstone, Ace Hardware Stores an online at https://myheroclip.com/. 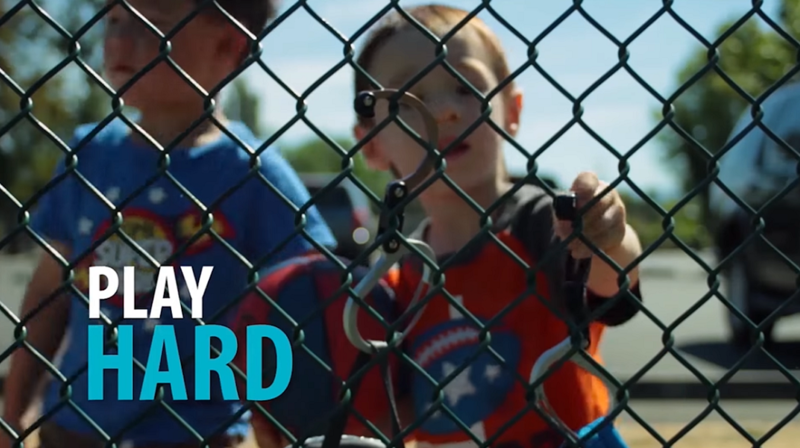 Kids are the main reason why Heroclip was even created in the first place. 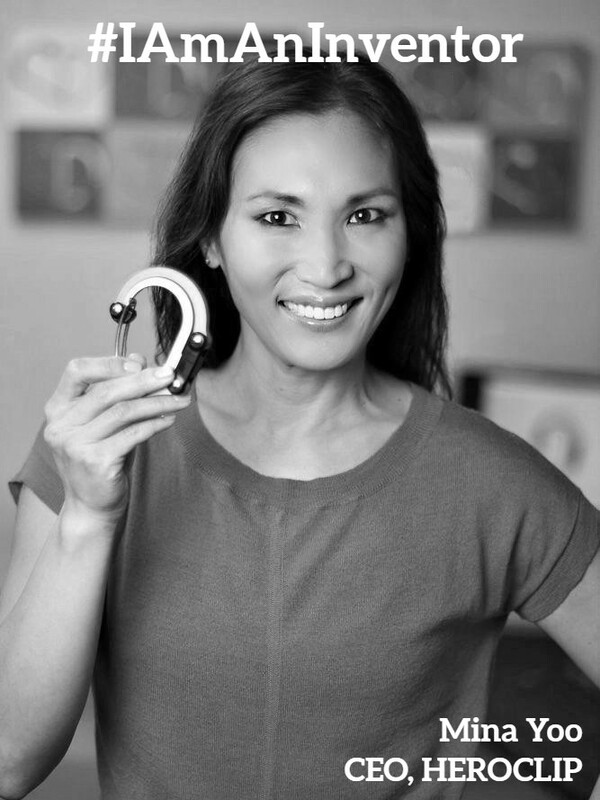 Mina designed it in order to give busy moms an extra helping hand in their day-to-day lives. Being a mom means you know all about multitasking, but the Heroclip takes multitasking to a whole new level! 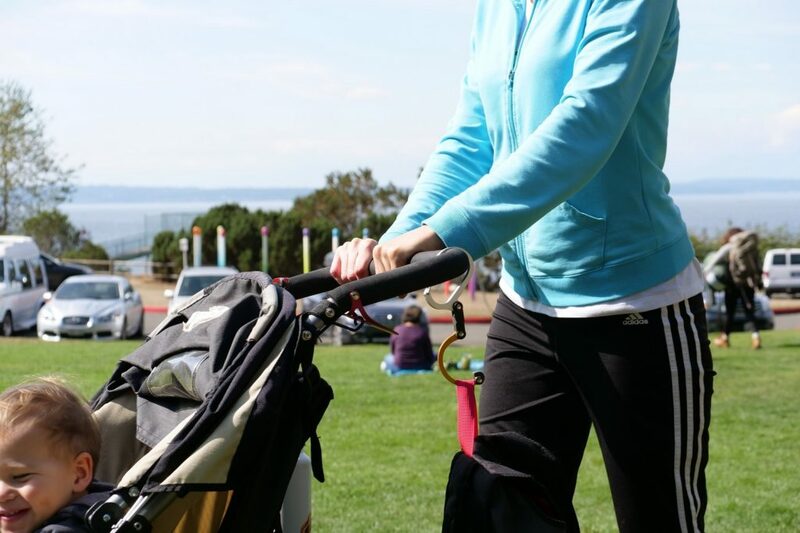 Instead of toting around that heavy baby bag, clip it onto the stroller. This will ensure that everything you need for your baby is within arms reach. Worried about placing your baby bag and belongings on a public restroom floor while changing your baby? You don’t have to worry about that anymore, because the clip can be used to effortlessly tether your baby bag from the changing station. The Heroclip is so easy to use that even kids can use it. Clip one to their backpacks so they can keep their things from getting dirty on the playground at school. They can easily clip it to chain link fences, park benches, tree branches, or wooden fences. Do you hate walking into that one room of your house that always seems cluttered and unorganized? 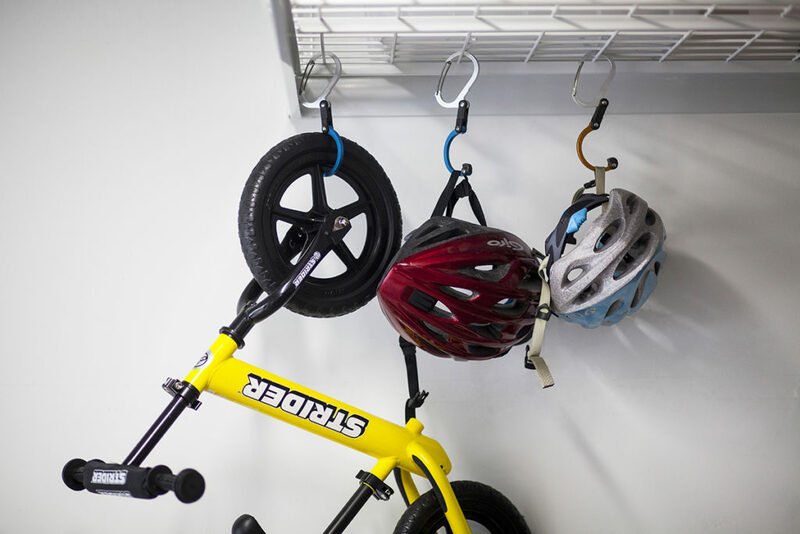 Is your garage floor piled high with rollerblades, bicycles and garden tools? Heroclip can help with that too! Get organized by hanging all of these items effortlessly with a Heroclip. As long as the item weighs less than 60 lbs, you can hang it. This will clear up that floor space in no time and have you breathing a sigh of relief when you’ve got your house looking neat and tidy. 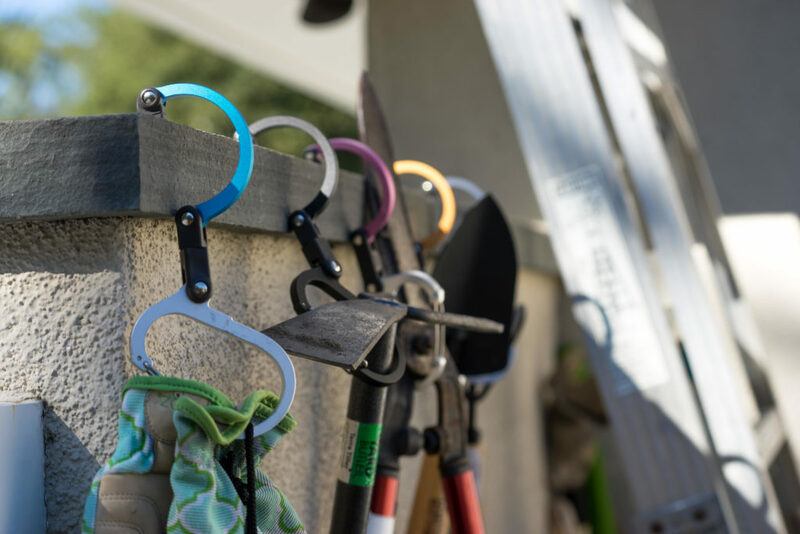 Instead of laying all of your tools in the dirt while you garden, hang them on a fence nearby so that everything you need is within reach. Want more Heroclip pro-tips for around the house? 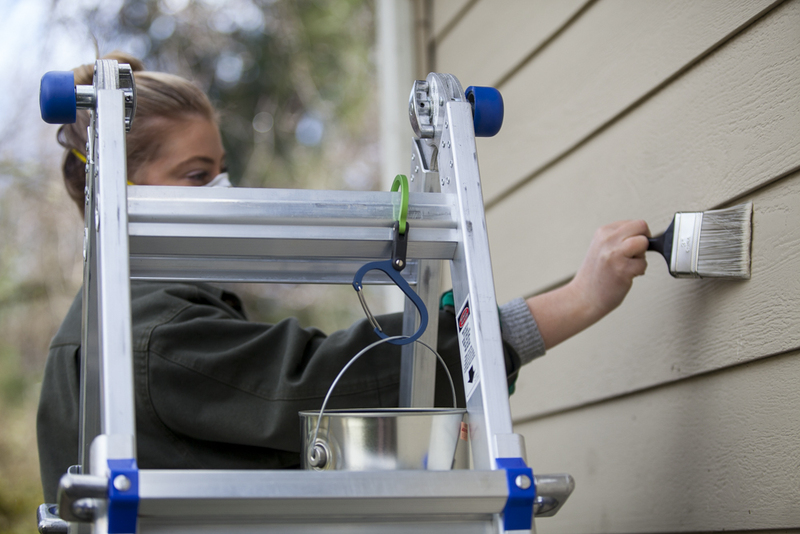 : You can easily clip a bucket to the rungs of a ladder when cleaning windows or when painting. This will free up your hands and allow you to focus on getting the job done safely. Having things right at your fingertips is a must when you’re travelling and you certainly want to make sure that you don’t lose anything. Before your next trip, consider investing in a Heroclip to tether your personal items to your carry-on bags. This trusty clip will ensure that your things are securely fastened so that you never have to worry about leaving a bag behind. 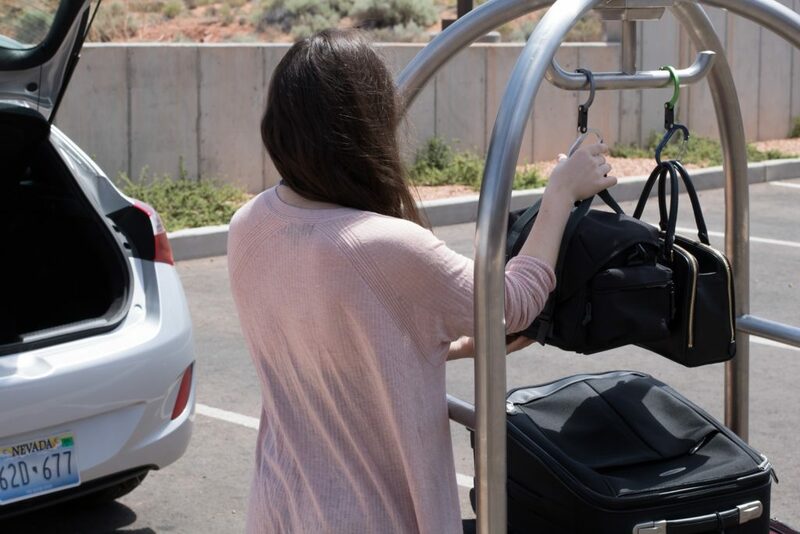 This handy clip also makes life easier when you’re arriving at your hotel and getting set up in your room. Travel pro-tip: Use a Heroclip to hang your personal hygiene bag from a towel hook so you don’t have to worry about spreading your things out over a small counter space. There are really no limitations to how you can choose to use your Heroclip. Mina’s number one goal was to create that extra hand we so desperately need when it comes to juggling all of our responsibilities in our busy day-to-day life, and the Heroclip provides that relief so that you can do more of what you enjoy. Mina knows there are a lot of women out there who are hesitant to take this first step into becoming an entrepreneur and to making their dreams become a reality and this is why it is so important to give them that push they need. 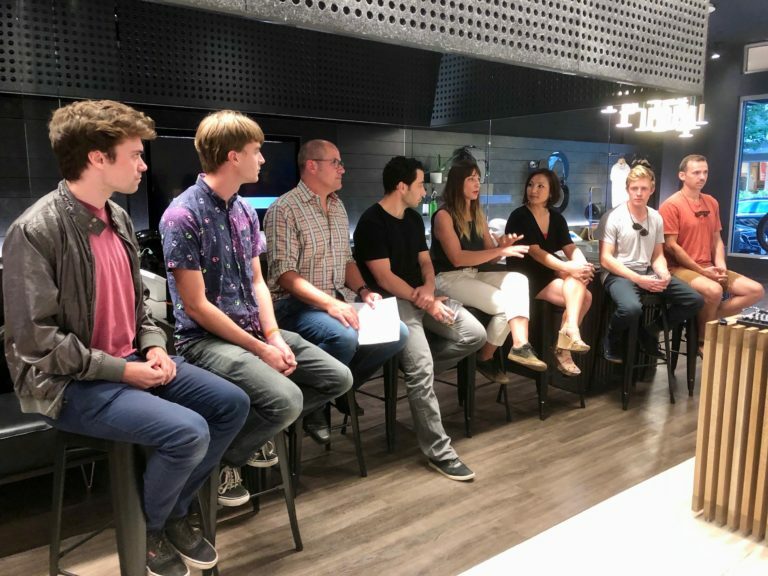 Often times, the term “invention” can be quite intimidating to people and when it comes to creating something or running a business “they don’t THINK they know enough” says Mina. But this is where they’re wrong. No one knows exactly what they’re getting into or the first thing about what to do when you create a product or a business. It’s a constant learning process and you end up growing with your business. But the first step is to commit your idea to paper and talk to family and friends about it to get their insight. The next step is to determine if your idea already exists, so get on Google and see if anyone else has done it! If not, pull out a whiteboard and start drafting up your design ideas. Another obstacle people run into is having the funding behind them to pursue their dreams. 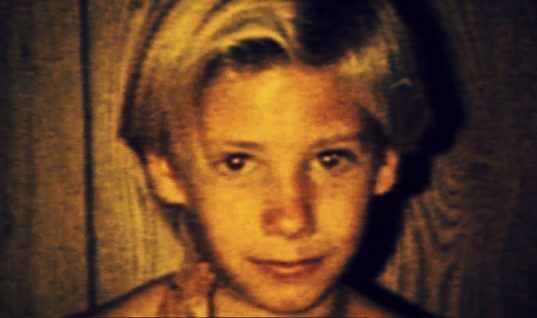 But there are certainly ways to get the capital you need in advance in order to see your ideas through. This is where Mina reached out to the open market and actively pursued crowdfunding through organizations like Kickstarter and Indiegogo. Mina’s inspiration for starting her company was developed during a time in her life when she was going through a whirlwind of changes. Everyday life throws new challenges at you and people like Mina realize that you need to live your life to the fullest by minimizing these day-to-day challenges. 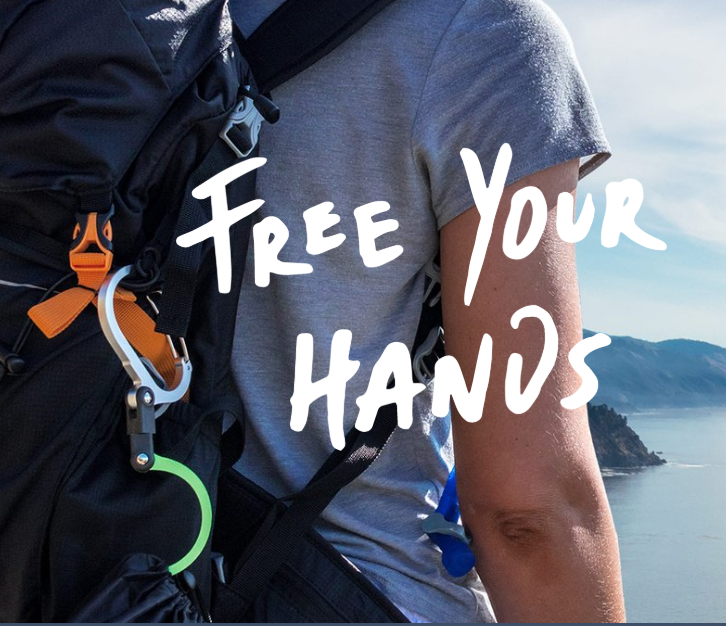 And this is exactly what the Heroclip was designed to do – to unburden you and to free your hands so that you can do more of what you want to do. The Heroclip was not just designed for the outdoorsy adventure junkie, but for everyday people alike. It’s all about helping you to become more mobile, with less weight on your shoulders. Essentially it’s all about creating that sense of freedom from your stuff! And what feeling could be better than that? 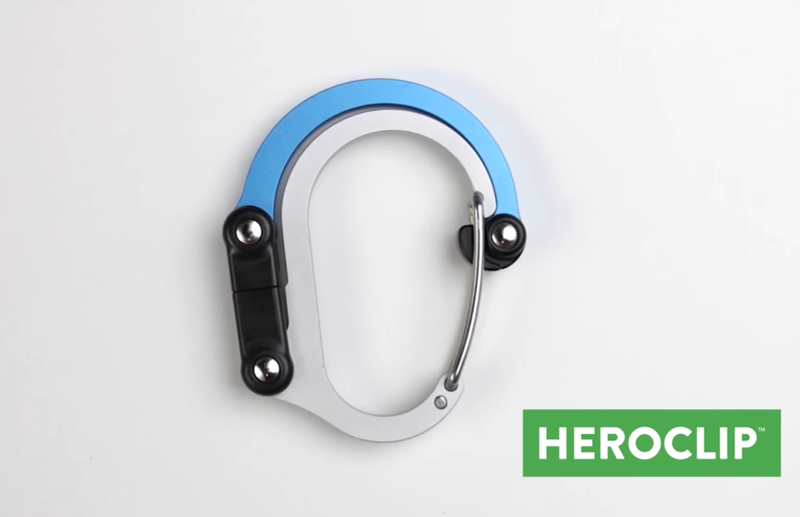 Heroclip is a simple practical solution that can be used in everyday life. It can be used for toting things around on your baby stroller, it can be a handy assistant used when cleaning, it can be used to declutter and organize your home, or you can use it to make life simpler when travelling. The possibilities are truly endless with this handy sidekick. So, what will you use yours for? 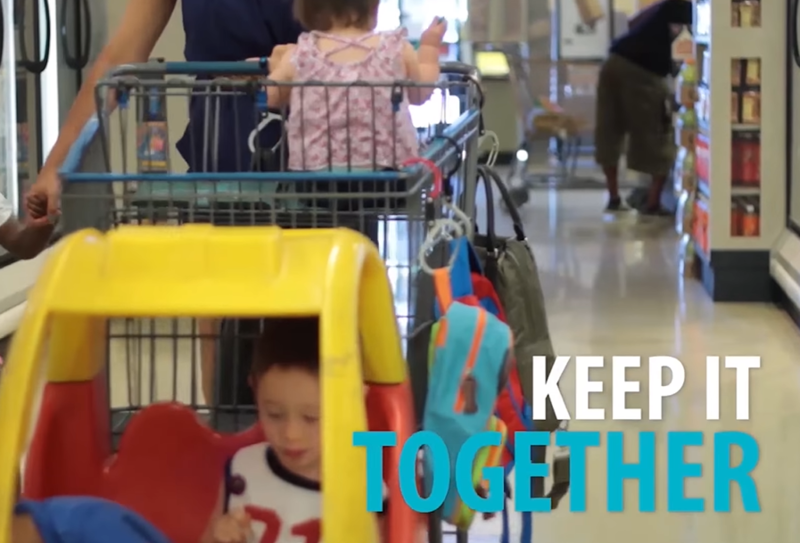 Shop locally at your nearest Brookstone or Ace Hardware Store, or online at https://myheroclip.com/.